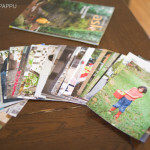 Winning family wins a one hour session, as well as 20 high resolution, digital negatives. Oh yeah. Please submit personal, non-professional photographs. We don’t want to break any copyright laws! Submission deadline is February 14th 2011. 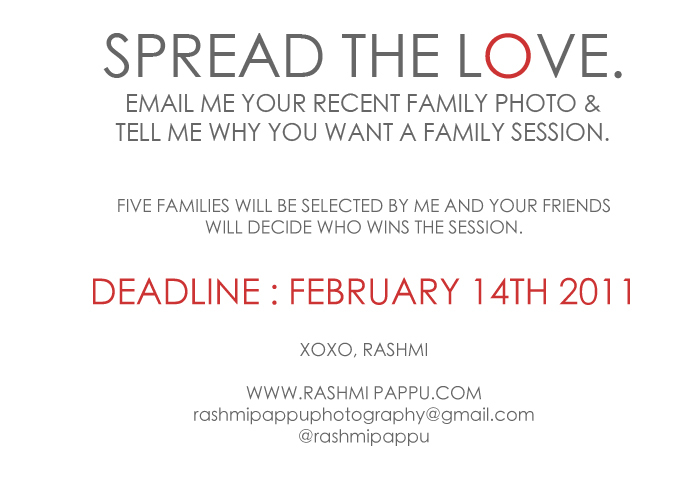 I will pick 5 families from all the submissions, based on the answer to the question ‘Why do you want a family session?’. Once the families are picked, the photos will be on the facebook page, and you and your friends get to decide, who should win. Voting will close on February 24th, 2011. An opportunity for a family photo shoot with you would help us re-focus us on what’s important…family time. All other things can wait.